Fall is getting closer because spaghetti squashes are showing up in the stores. I pretty much like all squash, but these are one of my favorites just for the fun factor. I grabbed this cute little organic one over the weekend. 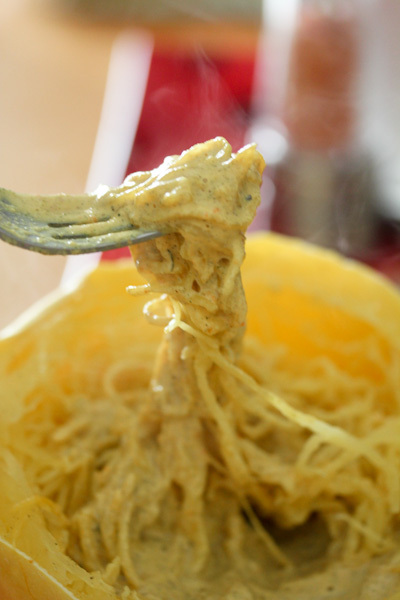 And it inspired this new cheddar hemp sauce for a cheesy noodle squash bowl. 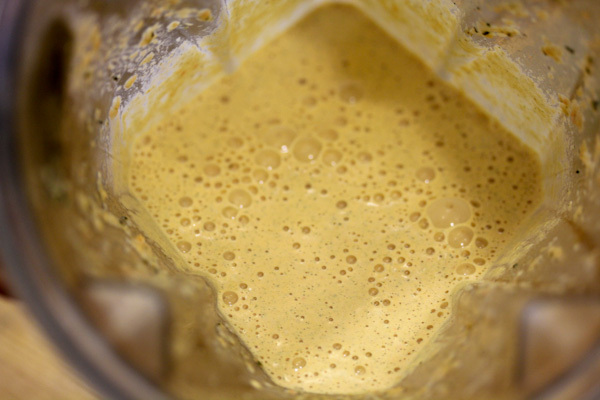 The texture is a little runny, great for coating squash, salad, or broccoli. 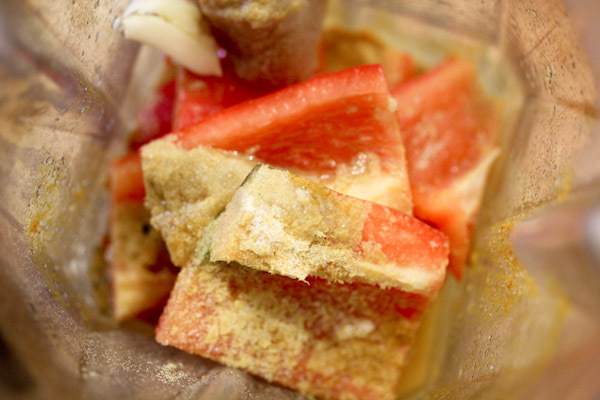 But you can use less water for a thicker, dip-like texture. 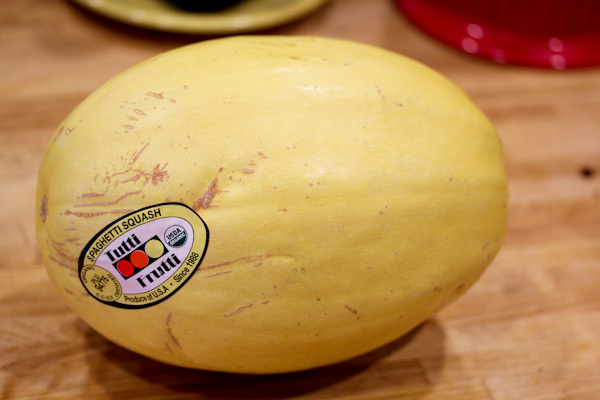 Spaghetti squash is nature’s “convenience” food because you can simply cut it half, scoop out the seeds, and turn the cut side down on a plate of water and microwave for 8-10 minutes for instant steamed squash noodles in a compost friendly bowl. And you can add any sauce you want to it, marinara, spaghetti sauce, or one of my many hemp seed sauces. This cheddar sauce was pretty awesome with it, it added a creamy, tangy, and savory cheddar/special sauce flavor and a creamy texture. When I first tasted this sauce, it sadly reminded me of the cheesy sauce that used to be on certain fast food burgers in happy meals from childhood. Thankfully those days are long behind me, but it was a fun throwback to carefree times and this version appeals to my health-craving adult side. 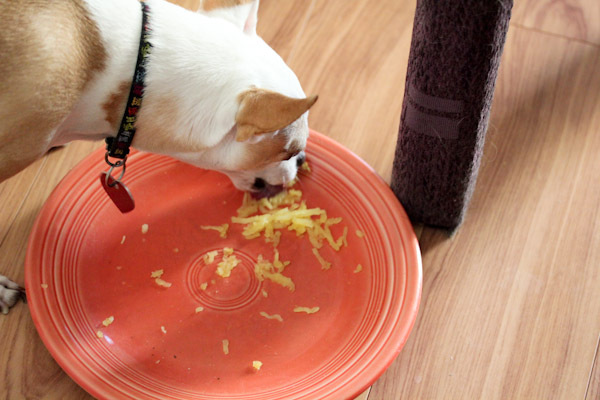 Turns out Miko is a fan of spaghetti squash too and was happy to share plain, steamed squash. Good thing it’s good for dogs too! Shadow checked it out too, but decided squash wasn’t his thing. Hi Christine! The sauce looks amazing. I’m going to have to try it. I love spaghetti squash too, and funny enough, my daughter’s boyfriend brought us one (thanks to his gardening neighbor) last week. I made a tomato basil marinara to go on top of it. 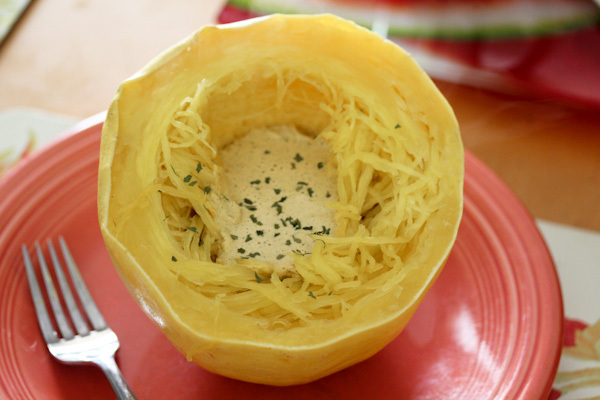 Spaghetti squash are a great source of water too. I was super hydrated the next day! 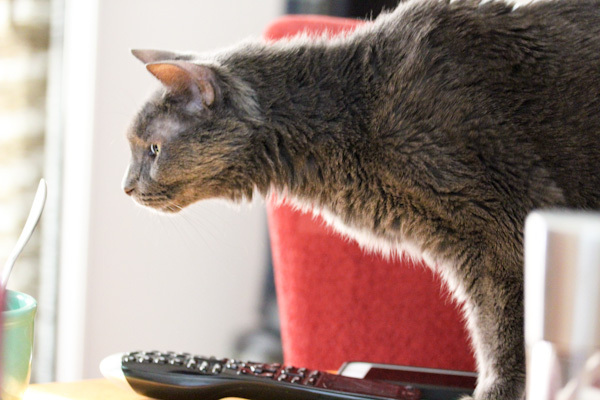 This looks like a hit for the family and fur family! YUM!